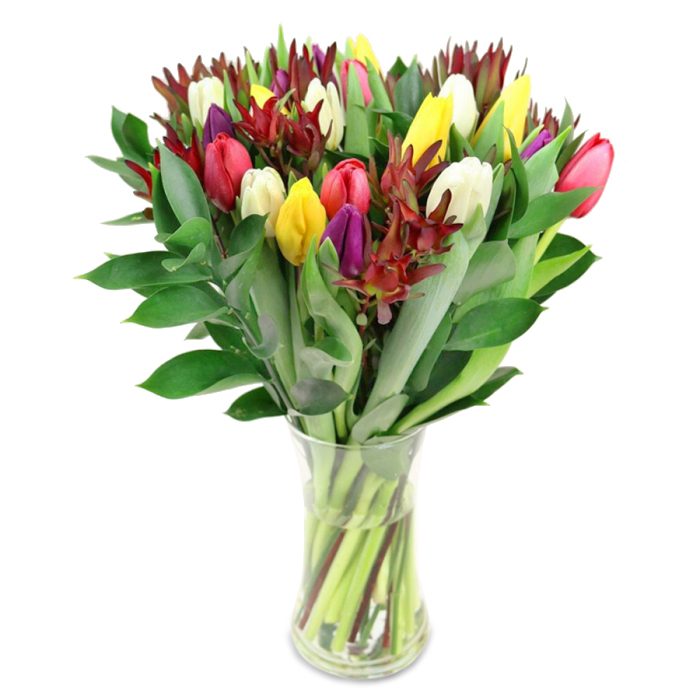 Let the freshness in your home with an amazing combination of mixed tulips, leucadendron and ruscus. The perfect bouquet that will make everyone fall in love with its colours and unique beauty! Had to send flowers to my wife because we're in different states for our anniversary. The breath-taking flowers made it feel like we were together! Next day delivery worked perfectly for me. Thank you. Ordered the bouquet for a friend in Cornwall. Worth the money, she was very pleased with the flowers. The bouquet was delivered just on time for my sister's birthday party and she was over the moon! Amazing arrangement!